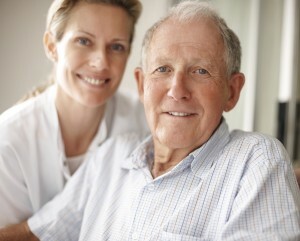 Skilled nursing services are provided by an inter-disciplinary care team – social work, therapy, dietary, therapeutic recreation, and nursing – who work with families and health care providers to develop a personal care plan for daily assistance and medical attention to help your loved one thrive. Our warm, modern facility encourages a sense of community, helping to foster friendships at meals and activities both with other residents and with staff. Heartland’s environment fosters independence and treats each person with love, dignity, and respect. Individuals are encouraged to achieve their maximum abilities and quality of life. All nursing staff receives ongoing education and in-service instruction to keep them abreast of new and improved techniques in providing the highest quality health care. We are committed to resident and family satisfaction in every service we provide. Thank you for your interest in Eventide Senior Living! You deserve easy living in a thriving community. From independent apartment living to skilled nursing care, we have a variety of living options to make you feel right at home. Please provide a little information below and we will contact you to set up a personalized visit. We can’t wait to show you all Eventide has to offer. Which community would you like to visit?